PTFE Cooking Liner is a non stick liner for a skottel, to enable foods to be cooked, without the need for cooking fats or oils. Both sides of the liner can be used, and the whole liner can be put in the dishwasher after use. The non-stick PTFE Cooking Liner works without the use of cooking fats and oils. Food can be cooked to a fine brown without being burnt. Ideal for frying or grilling meat, fish, chicken and vegetables. After use, the liner can be cleaned by simply rinsing with hot water or by means of a dishwasher. Both sides of the liner can be used. 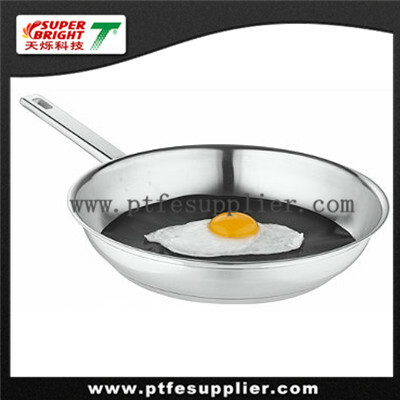 To ensure a longer lifespan for the PTFE Cooking Liner, the use of wooden cooking utensils is suggested. The PTFE Cooking Liner is intended for use on the Cadac skottel top. Do not use on an open grill or in direct contact with an open fire,heating elements or burners. Can be washed in the dishwasher, or by hand. When you're finished just wipe with a paper towel or wash with warm soapy water and they are ready to reuse.